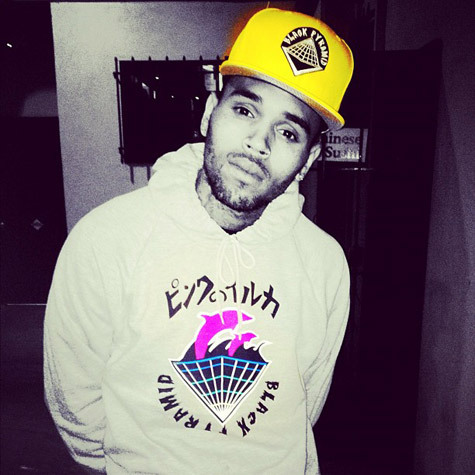 REWIND: Chris Brown Certified | What If He Is The Next? Chris Brown is an interesting artist. Yes, we all know the story about his fiasco with ex-girlfriend, Rihanna. However, I want to go deeper. I want to actually see something good come of this young man’s career. I was in a relationship with a person who was abusive. I forgave him, every time, he said, “I’m sorry.” The one thing that he did not do after apologizing was to put action behind his omission. He chose not get help for his condition: Anger Management. There are many African-American men and women who are angry with life. It can attribute to many causes. In reports about Chris Brown’s break-up with Rihanna, it was also acknowledged that she hit him too. Chris Brown made the wrong choice, in the heat of the moment, and regrettably so is paying a heavy price for it. I still believe in change. I watched his latest performance on the VMA’s 2011 broadcast on “MTV,” and was caught-off guard. I think Michael Jackson would have been proud of my revelation. I saw a young man who flew up in the sky, came down again, and flew back up in the sky and came down again. This is a remix—in writing. Chris Brown danced to some 91’ Wu Tang [with a white-suit on, while team breezy styled hip-hop gear], and rocked 93’ Nirvana. As a music connoisseur, I was totally impressed with Brown’s performance; Michael Jackson came to my mind again. Michael was smooth at what he did, but this kid has something else: Creative Acrobatics. Chris Brown commands your attention—regardless if you like him or not. Yes, this is still the same young man, who hit Rihanna. I don’t take it lightly that this occurred, but I believe that everyone deserves a chance to redeem themselves, if they get help. Chris Brown pushed the envelope and sang/danced to one of the best songs I have heard in the 21st century: “Beautiful People,” off of his latest album, during his performance. In interviews with several magazines, Chris Brown stated that his 4th album, “F.A.M.E,” would stand for Forgiving All My Enemies, but had an epiphany renaming it Fans Are My Everything. Yes, it was probably a publicity stunt. However, what I am starting to see is that every time that he does something that doesn’t make sense [to him], he speaks of it. Correct me if I am wrong, but isn’t that what you’re supposed to do; revert to what is right, versus wrong? I’m just saying… The young man is doing a good job of not making excuses for his behavior, and he still does have a lot of growing to do. Yes, this is the same young man who had a temper tantrum at ABC Studios after being interviewed by Robin Roberts. I am not vindicating his actions, but have you ever had a temper tantrum–I have. I’m also guilty of continuously giving people chances to. When I listened to Chris Brown’s latest album, “F.A.M.E,” I visualized real music, and believe that he will be an icon. Yes, I did say that. There is no one in the entertainment industry that can hang with this young man’s creative ability in singing, rapping, and dancing. Not since Michael Jackson, has a male artist [including Usher] captivated the stage in which Chris Brown has in such a short time. And no, I did not forget about his word war on Twitter with producer/artist, Frank Ocean–Boys will be Boys. Now let’s be truthful, we all thought that this young man would be back in the news for abusing another female. Yet, that has not happened. I think therapy may just be helping this young man. I can’t say on record if he goes to the office regularly, but something is different about Chris Brown. In all honesty, after listening to the album, Chris Brown has released the past and is heading towards the future. In order to heal, and not continually be ridiculed sometimes you have to delve into your creativity. When I look at Chris Brown today, this is what I see. I’ve seen a young man express all that he has been through—through his music. This is what we want in music; this is what makes a great artist. In order for creativity to emerge, and have a message and it transcended through culture is by experience. Michael Jackson was a cultural icon for this very reason. He was not perfect either. I never once in my life thought that he was on drugs, but he was. I still believe he was a great man despite his shortcomings. Why has our own community decided it was okay to down a young man for his failures, and dismiss the destructive behavior that his former girlfriend has shown in the media? We have a lot to think about when it comes to blasting people and not looking at our own lives. There has to come a time when we don’t celebrate the person, but the talent. Celebrities for generations are given the title: role model –with no room for failure. The one thing that everyone has to understand about life; we will all experience failure. What makes a great person an icon, is rising to the occasion in the face of adversity. If you had not heard Chris Brown’s track, “I Can Transform Ya,” then perhaps you should.